There are many ways to stay on a planned budget and increase the value of your dollar – clipping out coupons or waiting for store sales and discounts are very popular for this purpose. But, not everything goes on sale. Fuel is one of them. Yes, in these recession times, most auto dealers offer various car models at discounted rate or low interest rate packages, but paying less for a vehicle will not minimise your fuel cost (unless you purchase a hybrid model). Fuel prices are constantly fluctuating depending on the availability and so will your monthly expenses. 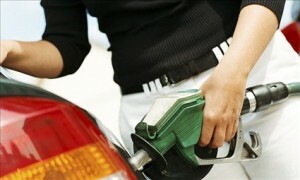 To reduce the impact that fuel price has on your wallet, you will need to modify and change your driving habits. Here are several tips on how to increase the fuel efficiency of your vehicle when driving and save money. Regardless of the type of your vehicle, small passenger car or a big SUV, reducing the load in your trunk can significantly decrease your car fuel efficiency. The weight of the vehicle is one of the most important factors which has great impact on the fuel consumption, and is one of the easiest to address. Therefore, organise your car and remove anything you do not use on a daily basis such as winter equipment, kids bicycles, various tools, etc. Also, the number of passengers and even the driver’s weight affects the fuel consumption. Idling causes not only air pollution, but also reduces fuel economy. If you are in a traffic jam or parked and waiting for a friend, family member or a spouse, it is best to turn off idling engine. In fact, it is recommended to turn off the engine every time you you’re waiting parked for more than 30 seconds. Also, and this is a common misconception, especially during winter, you do not need to “warm up” the engine before driving. Your car unnecessarily wastes fuel. Instead, drive your car to warm it up and increase the fuel efficiency. The weight and idling are not only culprits to increased fuel consumption; worn tires can also significantly reduce the fuel efficiency of your car. Proper tire maintenance is a key to an optimal fuel economy. Make sure they are properly inflated and inspect for any cracks, blisters or uneven wear. Also, using appropriate tires for every season. Do not use summer tires during winter and vice versa. or simply buy all-season tires. Tires support the whole vehicle as well as engine, thus proper tires and regular maintenance will ensure greater fuel economy. Aside from reducing safety risks, driving responsibly can significantly impact the fuel consumption. Therefore, do not drive over the speed limit. 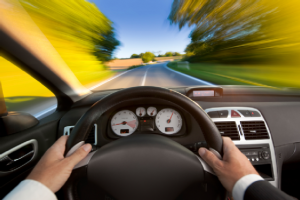 Increasing the speed from 90 km/h to 120 km/h will increase the fuel consumption as well. Also, avoid aggressive driving. The so called “jackrabbit” start and hard braking can also result in higher fuel consumption. Make sure you always drive in the right gear. When driving in a lower gear, the engine uses more fuel. The same is true when driving in top gear up the hill or when approaching sharp curves on the road. If your vehicles have manual transmission, change the gear as soon as possible, but avoid accelerating too quickly. The automatic transmission changes gears more smoothly and quicker. The air conditioning system also has significant impact on the fuel consumption, especially when idling in a traffic jam. Once the air in the vehicle has cooled enough, use the fan feature instead of the air conditioning system to reduce the fuel consumption. When driving at lower speed, open the windows instead of using the air conditioning system to save fuel. If your current car has poor fuel efficiency, it may be more reasonable to consider purchasing a new one with a better fuel economy. Although this may seem an expensive thing to do, the long term savings will outweigh the short term investment and costs.